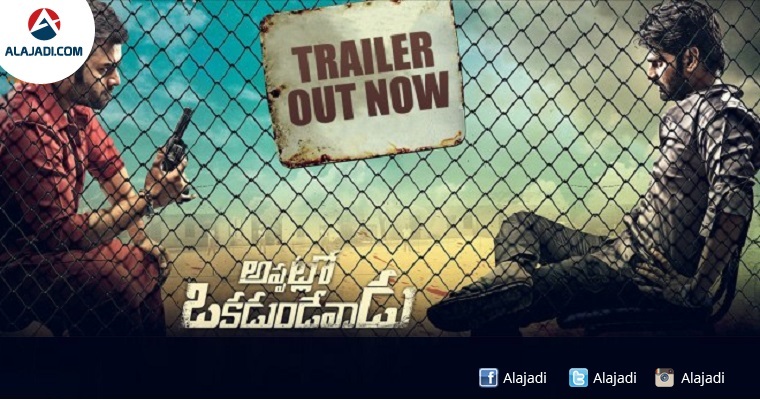 » Appatlo Okadundevadu Trailer Is Out Now ! The theatrical trailer of Nara Rohit’s latest production venture, Appatlo Okadundevadu, has been out on Youtube i.e December 04th, 2016. Nara Rohith‘s Appatlo Okadundevadu is directed by Sagar K Chandra and produced jointly by Prashanti & Krishna Vijay under Aran Media Works. Along with Nara Rohith the film also features Tanya Hope and Sree Vishnu in the lead roles. The Music album is composed by Sai Karthik. Set in 90s backdrop, Promo of Appatlo Okadundevadu begins with the discussion on Real Estate in Hyderabad. Through Brahmaji’s character, It was conveyed that Kukatpally is more like a forest area then. That’s how the Director registers, ‘Based on True Incident in the 90s. Sri Vishnu who starts his career as a Cricketer turns Criminal after few disturbing events. Nara Rohit does the role of a cop who is on a mission to end anti-social elements like Sri Vishnu. Interestingly, Sri Vishnu have more screen space than Nara Rohit in Appatlo Okadundevadu. Who’s story is it all about is a mystery for now? This action-oriented film is anticipated to release sometime next year. His last hit was Rowdy Fellow and the actor failed to impress the audience in the recent times. Appatlo Okadundevadu film as completed its shooting recently. Audio will be launched very soon and release date will also be announced at earliest. Nara Rohith is playing an invigorated Muslim character Nooruddin Mohd. Imtiaz Ali.